The human costs, especially in politically vulnerable circumstances, are a consequence of similar accelerations. The one million Syrian refugees resulting from the 2011 civil war were also victims of drought. The World Bank estimates that by 2050 the number of climate change refugees from sub-Sahara Africa, Latin America and the rest of Asia could reach 150 million. The U.N. goes higher – ranging from 200 million to a billion. Celsius degree increases are a suitable metric in comprehending different scenarios, and they are the author’s most relied-upon benchmark. There has been a 1.1 rise since the inception of the industrial revolution; the rise associated with the 1997 Kyoto Protocol and the 2016 Paris accords to year 2100 is 2 additional degrees by the end of this century. Wallace-Wells considers this the “best case scenario”, with ice sheets beginning their outright collapse, water scarcity for 400 million more people, unlivable cities along the equatorial band of the planet, and in northern latitudes, heat waves killing thousands each summer. Last year’s heavily publicized Intergovernmental Panel on Climate Change (IPCC) report has upped that to 3.2 degrees, even if immediate action were taken to implement the Paris accords. That could amount to major flooding in Miami, Dhaka, Shanghai and Hong Kong, along with a hundred other cities and multiple additional catastrophes. And the likelihood cannot been discounted that a rise of 4 degrees, or even much higher, might occur by the end of this century. It takes little stretch of the imagination to conjure the connection between horrific disaster and the specter of mass extinction, and many other books have focused on this question exclusively. Of the five preceding extinctions, the first occurred an estimated 450 million years ago, when 85 percent of all species died, and the most recent occurring 80 million years ago when the tally amounted to 75 percent. What is likely to be happening now would constitute the first caused by homo sapiens. This sudden glint of optimism comes as a surprising and confounding about-face, given the preponderance of doom and gloom that precedes it, and yet for David Wallace-Wells, parent to a child born while this blunt screed was being written, the primal instinct to survive and the desire for meaning may be sufficient fuel for his rejection of despair, despite the preponderance of scientific arguments for a worst-case scenario. This guest post is by Martin Zimmerman, who writes from Charlotte, North Carolina, where he is an urban planner, free-lance journalist, and sustainable city activist. The district encompasses San Francisco City Hall, the Asian Art Museum, the San Francisco Public Library, and UN Plaza, among other civic spaces. It also touches S0Ma and the Tenderloin, two of the city’s poorest neighborhoods, and most under-served in terms of public space. CMG’s plan is the result of two years of community outreach, though it sits within a series of outreach efforts led by others that started in 2010. CMG arrived on the scene in 2017, conducting online and in-person surveys, installing mobile outreach stations, organizing focus groups, and reaching out to the diverse ethnic communities in the area. Vietnamese, Chinese, and Spanish-speaking communities, as well as youth, received particular attention as they are heavy and underserved users of the district. Because this area also includes the city’s highest concentration of single-room occupancy buildings in the city and their related services, CMG also reached out to organizers in those communities. The plan pulls elements from three possible schemes that were unveiled in 2018. Lauren Hackney, ASLA, a landscape architect with CMG, explained the three plans were intended to “provoke conversation,” and allowed CMG to subsequently incorporate the most popular and consistently-desired aspects of the three proposals into the final plan. The final design strives to simultaneously meet the needs of a civic space and those of surrounding residents, while also calibrating the space’s historic design with contemporary needs. Noteworthy for its Beaux-Arts plan implemented at the turn of the 20th century, Civic Center comprises a National Historic District, and it was necessary to respect that history. But “the crazy thing is that Beaux-Arts planning doesn’t align with contemporary ambitions around how you use space,” said Willet Moss, ASLA, a partner at CMG. Thus, CMG stripped the Beaux-Arts plan to its foundational principles of cohesion, axes, integrity, and unity. Doing so allowed the Beaux-Arts ideas to serve as “a starting point” from which the designers could accommodate contemporary needs. That balancing act is one of the project’s biggest challenges: designing a single framework for many desired needs and overlapping jurisdictions and for a client composed of eight city agencies. “One of the real sincere challenges is how you get such a diverse spectrum of stakeholders to talk about identity — and about this place that everybody in San Francisco has a relationship with,” Hackney said. From protests to City Hall marriages, from the library to the farmers’ market, the ways people experience the space are numerous and varied. CMG addressed these disparate needs by emphasizing the central axis and enlivening the sides and edges of Civic Center. The space can function ceremonially while accommodating multiple uses around its fringe. Planting, paving, and lighting organize the district’s civic “spine.” CMG has given the plaza facing City Hall a room-like feel—reinforcement of the Beaux-Arts plan—by framing the space with planting. The frame provides structure while leaving space for large gatherings (Gay Pride, for instance, can see hundreds of thousands of people pass through the space). To meet the needs of surrounding communities, CMG proposes incorporating green and other spaces for recreation. A shallow mirror pond that turns on and off can be playful, while nodding to the ceremonial. Gardens that surround existing playgrounds, lawns that transform into soccer fields, and a sculpture garden with ample seating exemplify smaller scale spaces activating the plaza. The outreach process also made clear that the new plan needed to address basic needs of its constituents. At present, there are no benches, and a single bathroom. The common reaction in San Francisco is to do without seating, lest it become crowded with homeless people. Linked to similar concerns, Lawrence Halprin’s fountain within UN Plaza has stirred strong feelings from both its proponents and its detractors. Ultimately, CMG decided to retain the fountain, harnessing it as part of a gateway to the Tenderloin and UC Hastings College of Law. Their plan attempts to restore people’s engagement with the fountain (right now it is fenced off), maintaining it in a way consistent with Halprin’s intention to “invite people to engage with their environment in a different way.” CMG has also leveraged it as a piece of their stormwater infrastructure so that it becomes a large detention basin when it rains. “I believe we could breathe new life into it,” Moss says. Halprin’s fountain is only one component of the district’s complex green infrastructure strategy. At present, no stormwater treatment exists, and all the surrounding civic buildings pump out foundation water, which then flows into San Francisco’s combined sewer systems and causes downstream flooding. The new plan harvests that water; some is used for irrigation and toilet flushing, some is treated to become potable (72 hours of drinking water will be stored for use during emergencies). An underground infiltration “gallery” comprised of gravel media allows rainwater to infiltrate to the water table. Beyond water concerns, CMG also incorporated tenants of San Francisco’s Green Connections and urban forest plans. In designing, attention was given to tree canopy and habitat, species diversity, optimal growing conditions, and understory planting. The implementation timeline of the plan is unclear, and likely will be for some time. The plan will first undergo one to two years of environmental review, and its phasing and budget are still in development. A project of this scale necessitates many funding streams for different areas. Funding efforts are now directed towards an identified first phase, which aligns with the in-progress project Better Market Street and includes 6th to 8th Streets. As for an exact timeline, CMG is reluctant to say—it depends on decisions, reviews, and city processes. Grove Street between Bill Graham Civic Auditorium and Civic Center Plaza / CMG Landscape Architecture with Kennerly Architecture + Planning. This vagueness garners skepticism. After having crafted a design based in extensive outreach, the question is now how to realize it financially and politically. “It’s less about what people want than people’s confidence in the city’s culture; and the city bureaucracy making change and sustaining this place in the long term,” Moss said. But CMG is hopeful: the city understood the fundamental need for long-term management and operation, and included that in discussion from the start. But even with the worthy intentions of the landscape architects and city players, the plan calls into question the ability of a public space to address mounting social ills in San Francisco. Even if the space is designed for everyone, will the community at large support this mission? Can accessibility to public space truly provoke change in a city rife with inequity? An important first step would be to meet the urgency of these problems with a similar haste to build the proposed plan. This guest post is by Grace Mitchell, Student ASLA, Master’s of Landscape Architecture candidate, University of California at Berkeley. AARP knows that working to create more livable communities is not an optional endeavor – rather, it is central to our mission of supporting people to live their best lives at every age. Increasingly, communities are realizing that the flipside is true, too –ensuring that communities work for people of all ages is essential to their own community’s ability to thrive economically, socially, and culturally. And that realization is coming not a moment too soon: currently one in three people is over the age of 50, and by 2035, there will be more people over the age of 65 in the United States than under the age of 18. Any community that isn’t already asking, “Are we ready?” is going to be in for a surprise. So, what does “ready” look like? Ultimately, it looks a place that offers diverse choices in housing, a range of viable transportation options, and well-designed parks and public spaces that invite interaction and activity. “Ready” means that communities are crafted to engage older adults in the community – as volunteers, as entrepreneurs, and as local leaders – and to harness their insights to drive better public investments and policy. The good news is these attributes don’t just deliver benefits to a single age group – they meet the needs of all. AARP works closely with communities through our Livable Communities initiative to help examine their needs from an “age-friendly” lens in ways that can create a fruitful context for change. To date, more than 330 communities – and three states – have joined AARP’s Network of Age Friendly States and Communities. As a result of AARP’s efforts, more than 25 states reported local and/or state policy wins in 2018 that deliver better housing and transportation choices for older adults, and by extension, for all. Inherent to our Livable Communities approach is the ability to help communities demonstrate the “proof of concept” for change – whether that change means a temporary roundabout, or a short-lived demonstration bike lane, or a model approach to adapting tiny homes to increase their accessibility. Since 2017, we have funded nearly 220 such models through our Community Challenge Grant program – which this year will give awards to communities for small-scale, quick-action demonstration projects. 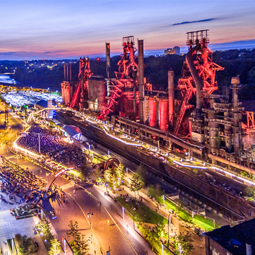 If past grantees are any indicator, our 2019 awardees will help advance real impact in communities across the US – in cities, towns, and on tribal lands — through small, tactical investments in placemaking, housing, and transportation that spark broader conversation and community change. City Heights, San Diego, California – The eastern San Diego neighborhood of City Heights is an enclave for refugees from Somalia and other East African countries. The Challenge grant supported the construction of permanent seating and landscaping along University Avenue – home to shops, markets and mosques and a popular area for local residents (especially ones 50 or older) to gather (see image above). Kenaitze Indian Tribe, Alaska – The Old Town Kenai campus is home to the Dena’ina Wellness Center as well as the Tyotkas Elders Center. Medicinal plants are an important tradition for the Dean’ina people, who have inhabited this region for more than 1000 years. The AARP Challenge grant funded the construction of six raised-bed garden boxes containing 12 native Alaskan medicinal plants which enabled tribal elders to grow the plants without stooping over. Walking tour maps and informational signs describe the medicinal properties of each plant and how they address specific ailments. Chicago, Illinois – “People Spots” are temporary platforms that turn an existing parking spot into an outdoor space for public enjoyment. AARP grant funding enabled the City of Chicago to offer a People Spot prototype for installation on a rotating basis in areas of high economic hardship, or those designated “retail thrive zones” on Chicago’s south, southwest, and west sides. Jackson, Mississippi – Jackson’s first pedestrian-aimed project is a pilot for its Open Streets program to transform its auto-centric downtown streets into vibrant social spaces. The AARP grant funded the transformation of a block of Congress Street to including outdoor furniture, a parklet, bike infrastructure and programmed events such as PARK(ing) Day Friday on September 21, 2018. Manning, Iowa – Manning’s brick-paved Main Street is a popular gathering spot for neighbors of all ages, including residents of the nearby Plaza Nursing Home. AARP funding helped add ambience and new design elements to the area with the purchase and installation of 12 lighting fixtures created by students from the Iowa State University College of Design. Gardner, Kansas – The citizens of Gardner want to maintain the traditions of their small but fast-growing community while creating new public spaces to meet the changing needs of residents and visitors. AARP funding helped create a portable parklet in the heart of the community, offering a place to rest in the shade near many facilities. Guided by more than 500 responses to a public input survey, the accessible parklet was equipped with shade canopies, comfortable seating, plants, lighting and is helping build awareness about larger green spaces planned for the area. Woodbridge, Virginia – In this two-part project at the Woodbridge Senior Center, AARP funding was used to develop a vegetable garden that supplements the meals provided to residents and creates an opportunity for physical activity. The second part of the project involved improvements in an outdoor area that lacked sufficient seating and landscaping, encouraging more social activity. The task of preparing communities for a future in which older adults are able to live their best lives calls for broad engagement about how to improve housing, transportation and public spaces. Efforts like AARP’s Community Challenge Grant program provide a clear opportunity for landscape architects, planners, community members, and local leaders to come together to craft and deliver real solutions in communities. Little by little, working hand in hand, together we’ll prepare our communities – and our country – for the age-friendly future that awaits us. Submit your challenge grant application by April 17, 2019. 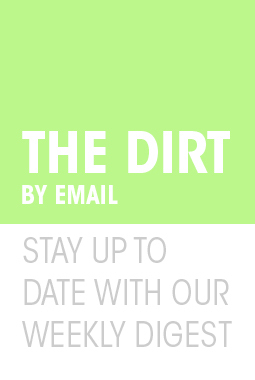 This guest post is by Danielle Arigoni, director of livable communities at AARP. An astonishing 6,000 pedestrians were struck and killed by vehicles in 2017, adding to a deadly decade in which 49,340 people were killed on the nation’s streets between 2008 and 2017. Compounding this national tragedy, victims are disproportionately from vulnerable groups, including people of color, those living in low-income communities, Native peoples, and the elderly. Those are the findings of a new national study entitled Dangerous by Design 2019, issued by Smart Growth America and the National Complete Streets Coalition. The American Society of Landscape Architects (ASLA) is a founding member of the coalition and a long-time advocate for complete streets policies and practices that elevate pedestrian safety as a top priority. Smart Growth America is hosting a public briefing online about the report findings on Thursday, January 24, at 2:30 p.m. EST. Electric scooters have become a familiar sight throughout the country. Dotting street corners in tidy rows in the mornings, placed haphazardly outside office buildings after the lunch hour, and zipping down streets and sidewalks at all hours of the day, electric scooters are fast becoming a ubiquitous feature of the urban landscape. The rapid expansion of electric scooters has drawn both support and criticism. By understanding the pros and cons of electric scooters and various regulatory considerations, landscape architects and urban planners can help cities make the most of this significant private investment in the public realm. The potential benefits of incorporating electric scooters into a city’s transit infrastructure are substantial. Leading electric scooter companies, such as Bird and Lime, tout their products as an alternative non-vehicular means of transportation, a zero-emission people-moving mechanism that can reduce short distance single-occupant car trips. Commuters who use public transportation for the bulk of their commute and who cannot or do not wish to use a bike for the final distance to the office can avoid a taxi or ride share trip by hopping on a nearby electric scooter. As many scooter riders will tell you, electric scooters also have the benefit of being fun to ride. Tourists are a major subset of electric scooter riders, as they enjoy the ability to see a new city at a leisurely pace without breaking a sweat. Renting an electric scooter for a ride isn’t quite as simple as hopping on and zipping off. Riders must first download each company’s app using a smartphone. The app shows locations of nearby scooters that are currently unoccupied and ready to be checked out. Typically, scooters are placed in neat rows in groups first thing in the morning, after being charged overnight. Later in the day, scooters may be distributed in more irregular groups as they are ridden and parked in various places by the riders. First-time users of an app also need to enter a credit card for payment (entered one time then used for all subsequent purchases, similar to the way the Uber and Lyft apps work), and a photo of a driver’s license to verify age. Critics have noted these requirements limit use across the socioeconomic spectrum; Washington D.C. is hoping to develop a method for cash payment. Rides are priced by the minute, timed from check-in to check-out using the app. Some apps also require riders take a photo of the scooter where it is stopped at the end of the ride, in order to record potentially-illegal parking practices used by some riders. Riders can expect to pay a typical fee of $1 to unlock the scooter, plus $0.15 per minute. Electric scooters may have launched in California, but 2018 saw the trend spread across the country and throughout the world. With such exponential growth, many cities have multiple competing brands of scooters within the same area. Austin, Texas, has had such high rates of usage that scooter providers have needed to schedule mid-day servicing of their fleets to charge scooters’ batteries. The usefulness of scooters in urban settings and the potential to replace short car trips has increased enormous investment to electric scooter companies. Ford recently purchased Spin for nearly $100 million, while Uber has partnered with Lime. The first of many regulatory challenges comes with the way a scooter company might choose to launch a fleet in a new city. Several companies initially gained the industry the reputation of “begging for forgiveness rather than first asking for permission” after launching electric scooter fleets without consulting city officials. This prompted San Francisco to temporarily ban all electric scooters, eventually offering two permits to electric scooter companies Skip and Scoot. Other cities issue permits to a certain number of total electric scooters, split among different providers. If an electric scooter company approaches a city first to request permission to operate locally, how might a city respond? Some jurisdictions might be glad for the private investment in public transit and permit operation without caveats. Others, hesitant of the demands electric scooters place upon the public right of way, may take a different approach — as did New York City, when, considering the density of sidewalks and bicycle lanes without scooters, issued a firm “thanks, but no thanks” to scooter companies. California: State regulations prohibit riding an electric scooter on the sidewalk or on roadways with speed limits in excess of 35 miles per hour. Colorado: State and local regulations classify electric scooters as “toy vehicles” which must be ridden on the sidewalk and are prohibited from operating on the roadway or bike path. Wisconsin: A state regulation classifies electric scooters as motor vehicles, therefore requiring individual vehicle registration with the state. To address safety concerns, electric scooter companies require all scooter riders wear helmets and meet a minimum age requirement. These requirements are frequently violated by users, as are regulations requiring scooters be ridden on the sidewalk, roadway, or in a bike lane. Conflicts between pedestrians, bicyclists, vehicles, and scooters are difficult to avoid without formally set and well-understood rules for where and how a scooter should operate. One particularly active period of reported scooter accidents in Austin, Texas, led the federal Centers for Disease Control (CDC) to partner with Austin city government to study the most common source of incidents. This study is currently underway, but Austin is already planning to put a safe riding ordinance into effect in the spring of 2019. Electric scooter companies are beginning to put money and effort toward improving the safety of scooter riders. Bird scooters recently announced plans to form a Global Safety Advisory Board, led by the former head of the National Highway Traffic Safety Administration, with the goal of improving electric scooter safety. Bird has also proposed a funding strategy whereby $1 daily per vehicle in a city’s fleet would be dedicated to a fund for improving bicycle lanes and infrastructure in that city. Bird scooters currently offers cities data on usage within that city, which can be a valuable data metric in understanding the flow of people through the city, scoping a site pre-development, or for post-occupancy analysis. Electric scooters can replace much more vehicular use, particularly single-occupant, short-distance car trips, in congested urban environments. At the same time, city management and planning authorities must carefully weigh the risks to public safety before approving electric scooter programs. With clear rules and robust public awareness campaigns to ensure all users understand the rules for legal operation, scooters may come to safely co-exist with existing users of the public right of way. Electric scooters are here to stay, and cities have the opportunity and challenge of establishing a safe framework in which citizens and visitors can enjoy the full benefits of this technology. This guest post is by Alison Kennedy, ASLA, PLA, LEED AP ND, a landscape architect with O’Dell Engineering in Modesto, California. She is the co-chair of the ASLA Women in Landscape Architecture professional practice network (PPN) and chair of the ASLA Archives & Collections Committee. The Trump administration’s proposed rule redefining the term “Waters of the United States” (WOTUS) within the Clean Water Act is a direct assault on the health and well-being of American communities nationwide. The proposed definition severely limits which waterways and wetlands are protected from pollutants, and could have catastrophic effects on the quality of the nation’s water, human health, the economies of communities, and the viability of wildlife populations. ASLA supports having one clear and consistent definition of WOTUS that balances the need to have safe, healthy bodies of water with commerce and sound development practices. The proposed rule change significantly alters that balance, endangering communities and ecosystems while allowing polluters to adversely affect communities and ecosystems well beyond the boundaries of their property. The fact is, clean water is good business and polluted water is not. A WOTUS Rule should ensure healthy drinking water, reduce adverse health consequences, bolster communities reliant on tourism and recreation, and facilitate place-making for coastal communities. This irresponsible rule change will undermine those goals. 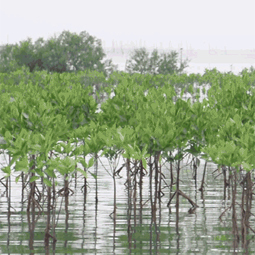 It is particularly regrettable that this rule would go into effect at a time when climate change is already wreaking havoc with fragile environments, particularly those in flood-prone areas. Increasingly frequent and intense storms will, by definition, affect the dry riverbeds and isolated wetlands that this new rule would exempt from protection. This rule would make a bad situation even worse. Landscape architects work at the nexus of the built and natural environments and are at the forefront of planning and designing water and storm-water management projects that help to protect and preserve our nation’s water supply and enrich the lives of communities. The administration’s replacement rule would be a drastic step backward from the commitment to clean water for all Americans that is at the heart of the original Clean Water Act and the WOTUS rule, and ASLA will work to oppose this proposal. In 2019, ASLA will host its Diversity Summit May 17-19 at the ASLA Center for Landscape Architecture in Washington D.C. The Summit welcomes landscape architects from diverse backgrounds to engage in critical, thoughtful, and challenging dialogues to inform how the Society and its members can create an inclusive and equitable community of landscape architecture professionals. ASLA will invite selected participants to think in deeper and more complex ways about diversity and inclusion in the profession. Attendees will explore strategies for ASLA to advance its diversity and inclusion efforts while tackling some of the most pressing issues facing diverse communities throughout the Summit. 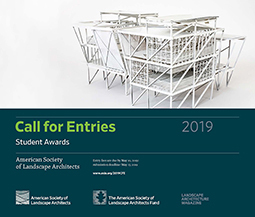 If you are a landscape architecture professional of color in the United States with at least two years of professional experience and are interested in applying, please complete the 2019 ASLA Diversity Summer Call for Letters of Interest by midnight on Friday, January 25, 2019. We will notify selected participants in early February. ASLA will pay primary transportation, two nights lodging for all participants, and provide breakfast and lunch on the summit days. One (1) Letter of Recommendation (PDF format to be uploaded). The letter should specifically address your merit as a landscape architecture professional and interest to address diversity in the field. Letter of Interest (750-word maximum – PDF format to be uploaded). How will your experience and values be beneficial to ASLA’s Diversity Summit? What is your vision for ASLA’s career discovery and diversity program in the coming years? What do you hope to get out of participation? For questions, please email discover@asla.org. In 2018, ASLA invited five professionals from the Diversity SuperSummit and nine new participants from the Call for Letters of Interest to add valuable input to discussions and resource development. Attendees reviewed benchmarks prioritized from the 2017 Diversity SuperSummit, offered suggestions for developing resources that can assist implementing diversity and inclusion practices into business strategies and reaching out to the youth and communities. This post is by Lisa Jennings, ASLA Career Discovery & Diversity Manager. Invisible wounds. It’s a haunting phrase and one that’s become all too familiar to a vast number of the military men and women serving in conflict zones in recent years. These wounds, a fact of modern war, have proven particularly vexing to the medical teams whose job it is to treat our troops. As many as 40 percent of soldiers returning from active duty in Iraq and Afghanistan experience these wounds, which all too often lead to suicide, according to Fred Foote, a former Naval physician, scholar of the Institute for Integrative Health, fierce advocate for wounded veterans, and leader of the Green Road project. Let that number sink in. Forty percent; a staggering statistic that is devastating — to the military, to each of the lives the number represents. I had my first intimate impression of the suffering being borne by so many soldiers while working with a film called That Which I Love Destroys Me; it too dealt with the hidden wounds of war. I became friends with the men and women who were interviewed for the piece; they helped shape my perspective — my thinking and understanding of post-traumatic stress disorder (PTSD) and traumatic brain injury. In connection with the film’s release, we held a series of screening events to specifically reach those who had served. At almost every gathering, at least one would approach the director, or one of the people interviewed in the film, and say that they were contemplating suicide. The reality of this was devastating — coming face-to-face with those who had given so much for our safety and freedom. I became keenly aware of the need for more ways to help them. It was during a time when mainstream news of veteran suicides was coming with increased frequency that the TKF Foundation received the grant application from the Institute for Integrative Health for what would become the Green Road — a green space designed and built by a team led by CDM Smith, including landscape architect Jack Sullivan, FASLA. The proposal involved taking a forested piece of land at Naval Support Activity Bethesda, home of Walter Reed National Military Medical Center, and, while keeping the integrity of the space, making it into a place where the recovering men and women could experience nature as a part of their healing process. 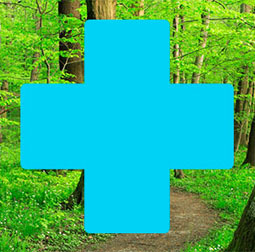 Once completed, researchers would study and document the impact of nature on recovery, using a set of newly defined mathematically-based metrics that map and measure the effects of nature on the body. The insights they gain will be used to inform future courses of therapy—not only at Walter Reed but potentially around the globe. We were immediately drawn to the project. And I was instantly reminded of the men and women I met during my work with That Which I Love Destroys Me. We know that nature heals, but we also know, like Dr. Foote, that much work remains if we are to convince many naysayers, who still see nature as lacking the potency of a pill; of being a legitimate form of treatment to stand alongside and augment traditional therapies. Our hope is that this space will act as a blueprint and that more will begin to appear in communities throughout the US; everywhere veterans are suffering. Nature holds an undeniable power to foster healing, even when the psychological wounds are deeper than most of us could ever imagine. Faced with the rise in traumatic brain injury and PTSD, the military, urged by voices like Fred’s, was convinced a little over 10 years ago, to begin searching for new modes of treatment; notably, modes that stretch beyond the confines of conventional medicine. Enter nature. In the decade since the military reached out to Dr. Foote, an early proponent of holistic medicine, and of nature exposure, he has worked with prominent civilian and military experts to help craft a structured means to study and measure the impact of whole-body therapies on mental and physical health. Supported by the non-profit Institute for Integrative Health, it was this work that eventually led to the creation of the Green Road, and to the involvement of the TKF Foundation via our National Nature Sacred Awards program. Today, behind the tightly manicured lawns and sprawling buildings of the nation’s flagship military medical complex at Naval Support Activity Bethesda, this wild yet defined, wooded space offers a refuge. A place to pause in an environment that heals. Alden E. Stoner is a filmaker and board member of the nonprofit TKF Foundation. This speech was given by Nancy Somerville, Hon. ASLA, ASLA CEO and Executive Vice President, at the ASLA 2018 Annual Meeting in Philadelphia, Sunday, October 21. Every year at this meeting I’m reminded of the incredible variety of ways landscape architects serve their communities. The diverse talents and skills of this profession came home to me recently when I was visiting CMG Landscape Architecture in San Francisco. They are addressing issues of social equity as part of the revitalization of public parks. They are designing a resilient solution to a three-mile stretch of coastline infrastructure vulnerable to earthquakes and sea level rise. 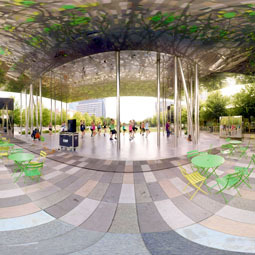 And one of their staff is pioneering a method for calculating the carbon footprint of landscape architecture projects. The landscape architects at CMG, all of you, and your colleagues across the country have much to offer a world that, more than ever, needs responsible stewards of the built and natural environments. 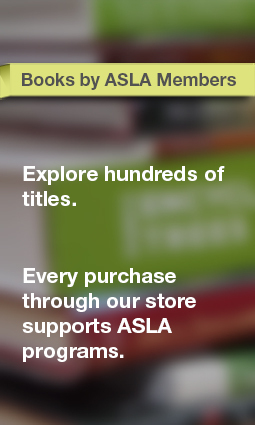 For those of us on staff at ASLA, it is a privilege to be an advocate for what you do. 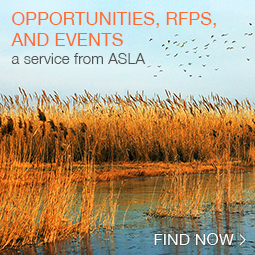 Before I get started, you may have noticed that ASLA has a fresh, new graphic identity. We think it not only works well in all contemporary media, it better reflects the energy and forward-thinking nature of the Society and its members, while remaining connected to our heritage and our values. Importantly, it will also help unify and strengthen the identity of the Society at the national and chapter levels. Of course our identity doesn’t just come from our graphics. It comes from what we do and who we are. I’m happy to announce that the Board has added inclusion and diversity to our statement of corporate values and culture. This comes as we have convened our sixth successful diversity summit. The summits, and our work throughout the year, reflect our unwavering commitment to increasing diversity in the Society and within the profession, and to build future leaders who truly reflect the communities we serve. In addition to diversity, our other top priorities are advocacy and public awareness. On the federal level, we maintained our strong advocacy efforts to protect important federal programs and policies, including the Land and Water Conservation Fund. Although the LWCF expired on September 30, it is still funded through December 7, 2018, and a bill to permanently reauthorize this critical program was approved in both the House of Representatives and Senate committees. Thanks to your advocacy, multiple amendments that would have derailed this legislation were defeated by wide margins, allowing the bill to move forward. Unfortunately, the fight is not over. Both the full House of Representatives and the Senate now must pass a final bill before December 7. Please continue to contact your legislators to support LWCF. Also under active consideration in Congress—and getting closer to final passage—are bills to address the maintenance backlog in the national parks and continue the Every Kid in a Park program. Our Government Affairs team worked with coalition partners and allied organizations to move these critical bills through Congress. Your continued support and participation in our iAdvocate Network has been critical—and will continue to be critical—every step of the way. On the state side, this year we again saw record numbers of challenges to licensure. Some specifically targeted landscape architects along with other professions and occupations. Some were more indirect threats—including broad licensure reform legislation and executive orders for licensure review. Our chapters are hard at work countering the attacks—and working pro-actively to educate their legislators about the work of the profession and its impact on public health, safety, and welfare. This year we expanded our annual state Advocacy Summit. In a partnership with the Council of Landscape Architectural Registration Boards, our member advocates were joined by their counterparts from the state licensing boards. The joint summit has already resulted in stronger communications and partnerships in many states—all of which will enhance our licensure defense efforts in the coming years. On the priority of public awareness, we have continued our successful programs, like World Landscape Architecture Month, and our PARKing Day activities, and have also taken on new initiatives. Our signature “This is Landscape Architecture” campaign continues to be extremely popular—and very successful at increasing our visibility and enhancing public understanding of the profession. This campaign will continue again next April during World Landscape Architecture Month—with an added focus on involving more of the global landscape architecture community. Just started this year is a multiyear communications initiative in collaboration with our partners in what we call the Presidents Council—ASLA, the Council of Landscape Architectural Registration Boards, the Landscape Architecture Foundation, the Landscape Architectural Accreditation Board, and the Council of Educators in Landscape Architecture. We have engaged the FrameWorks Institute to help develop a comprehensive communications strategy for communicating about the profession—and its value. What makes FrameWorks so interesting, and why we selected them for this project, is that they focus on how underlying cultural values shape attitudes—and use that as a frame for identifying communication messages and strategies that resonate with those deep-seated values. In the first phase of the work, FrameWorks is mapping the gaps between the public understanding of landscape architecture and how those within the profession think and talk about it. Early next year, FrameWorks will report back on the gaps and deliver preliminary recommendations on how to bridge them. In the next phase, they will develop and test specific messages and strategies for effectively communicating the value of the profession. Getting the public to really understand—and appreciate—the profession of landscape architecture has been a longtime goal. And while we have seen a significant increase in media coverage over the last 10 years, we have a long way to go. Developing a better understanding of the profession will support not only our public awareness goals, but also our government affairs advocacy, and our efforts to build a more diverse pipeline of future professionals. Landscape architects, of course, operate at the nexus of the built and natural environments, which means that by definition this profession has a crucial role to play in addressing the issues of climate change, sustainability, and resilience. 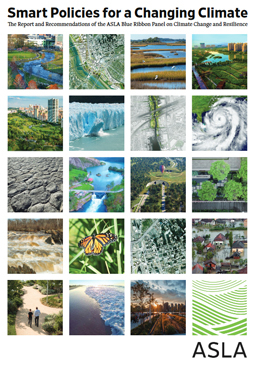 This summer we released Smart Policies for a Changing Climate, the report and recommendations of the ASLA Blue Ribbon Panel on Climate Change and Resilience. The report identifies the most important design and planning approaches for creating healthy, climate-smart, and resilient communities. And it makes specific public policy recommendations to support those approaches. The recommendations are informing our professional development programming and our advocacy and communications priorities. We are promoting the recommendations directly with public policy makers, as well as through our coalition networks and partnerships. Last month I was honored to represent ASLA as a delegate at the Global Climate Action Summit. The conversations there were both deeply alarming and very encouraging. But I came away with one very clear takeaway for ASLA and the profession. While there are many voices and many experts leading the charge on reducing carbon emissions, there are fewer voices and even fewer experts who understand what needs to be done to help communities adapt to the changing climate. This profession has unique knowledge and a profound responsibility to help address the issues of climate adaptation and community resilience. That’s why we’ve enhanced and reorganized our online resources devoted to sustainability, resilience, and climate change, making this vast knowledge base even more accessible to our members and the public. How important is all of this? Two weeks ago the U.N. Intergovernmental Panel on Climate Change released a startling new report outlining the catastrophic consequences if the global community fails to take significant action in the next 10 years. The U. N. report reinforces the need for all those responsible for shaping human environments to redouble their efforts to mitigate climate effects and to ensure the resilience of communities already seeing the effects of the changing climate. This commitment to action is why ASLA has also signed on to the We Are Still In initiative. This coalition of over 3,500 organizations from all sectors of society is a way of publicly standing by the Paris Climate Agreement and its goals of reducing emissions and fostering resilience. Finally, I want to talk about a very special project ASLA is undertaking in Washington, D.C.
With urban infrastructure in crisis, ASLA believes it’s time for new thinking on how the civic realm can better serve public needs and meet environmental goals. What better place to put those ideas into action than the street on which ASLA’s headquarters sits in the Chinatown neighborhood of Washington, D.C.? 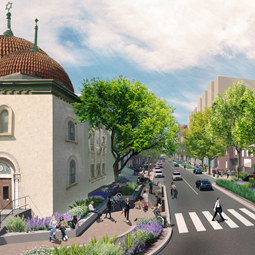 The Chinatown Green Street project will renew the entire block using a blend of green, complete, and smart street strategies—a “test kitchen” of innovative concepts. It will serve as a national case study for design professionals, municipal officials, policymakers, advocates, and the public. Unlike many organizations, ASLA is willing to make its principles more than just ideas on paper. We make them tangible and visible. With landscape architects at the forefront, ASLA first demonstrated its commitment to a sustainable future with a pioneering Green Roof on its headquarters building. Then, we transformed the building itself into the Center for Landscape Architecture following the highest standards of sustainable design and occupant wellness. Now, we are taking our principles directly to the street and the city. Please visit the Chinatown Green Street page to learn more about the project and how you can support it.